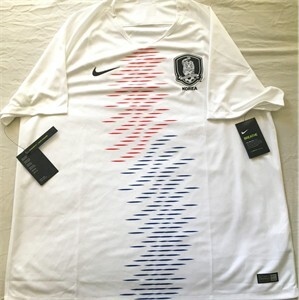 South Korea 2018 World Cup soccer team authentic Nike Dri-Fit white away jersey as worn by the team in Russia. BACK IS BLANK. 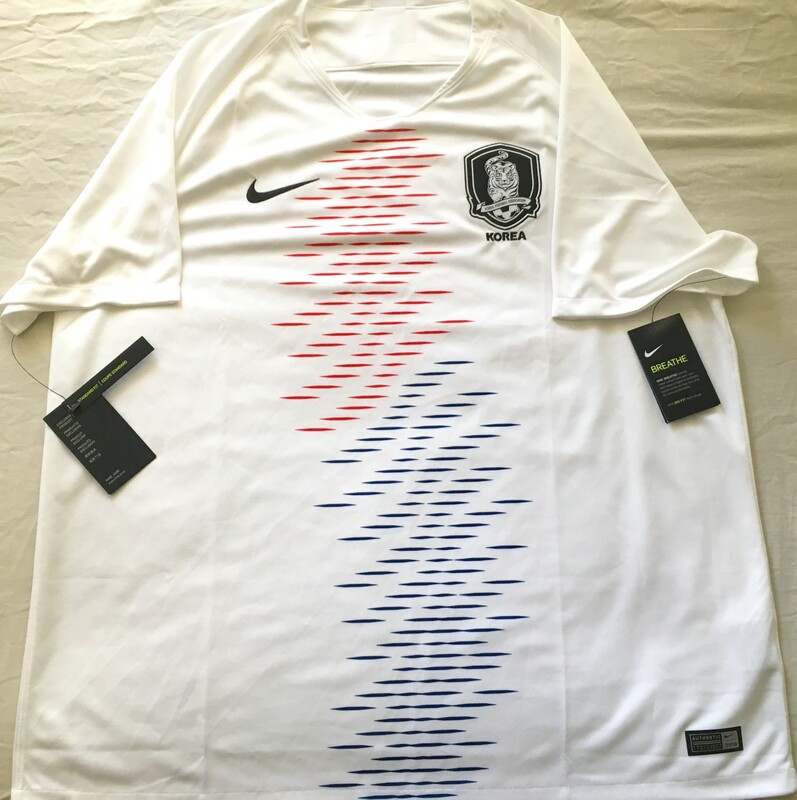 Size 2XL. BRAND NEW WITH TAGS, NEVER WORN. NOT AUTOGRAPHED. Suggested retail price $90. ONLY 2 LEFT.